Texas Vike wrote: Wow. He had been projected for the mid-2nd. I think his actual worth is late first, so I agree with Brugler. I thought you'd like his pick. My draft preferences are limited to about two notes right now! I've probably sung the praise of Doctson too often. 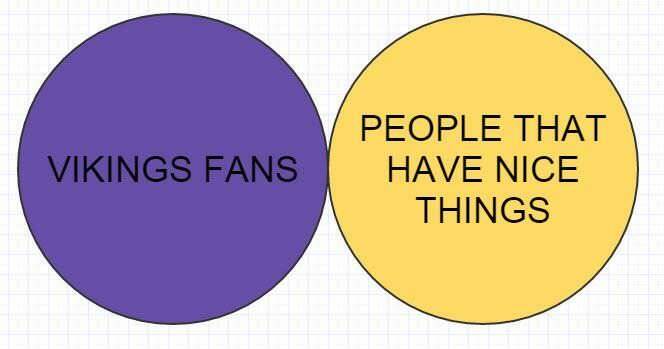 I don't consume much CFB beyond the Horned Frogs/ Big 12, so I admit my biases. Plus, OL and S require a more refined evaluator of talent than what I'm capable of, so there's that. An NFL scout told the Milwaukee Journal Sentinel that TCU senior WR Josh Doctson (wrist) has "got great hands, maybe the best hands of [this draft-eligible class of wide receivers]." The scout speculated that if Doctson's able to impress during the combine with his 40-time, he could crack the first round of the 2016 NFL Draft. The 6-foot-4, 190-pound senior's currently rehabbing from a broken left wrist suffered against Oklahoma State on November 7. His status for the Valero Alamo Bowl against Oregon on January 2 should become known on Thursday after his cast is removed. He's already accepted an invite to the Senior Bowl as he prepares for his draft journey. 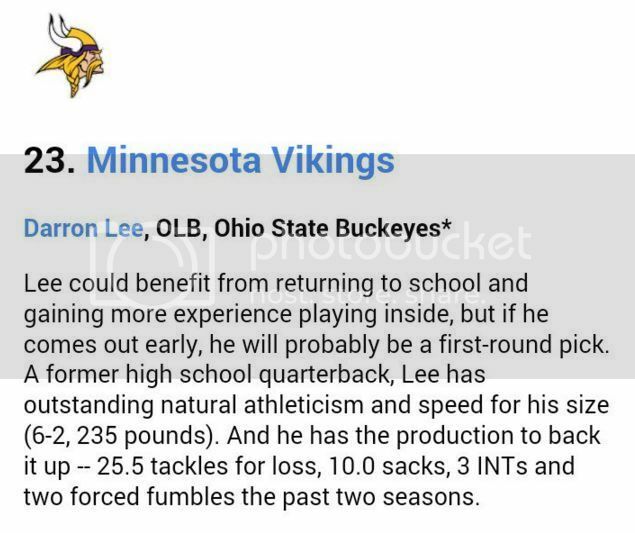 The 6-foot-2, 228-pound Lee was a second-team All-American selection by Sports Illustrated this year. He posted 59 tackles, nine TFL, six quarterback hurries and an interception. Lee is rangy and gifted in pass coverage. Another draft with the same predicted result. You could copy and paste the meat and potatoes of the last pick reasoning for the Chiefs here with the Vikings as they too are in need of both an offensive lineman and playmaking wide receiver, easily their two weakest positions. While adding talent and depth on the offensive line will most certainly happen at some point in the draft for the Vikings, I’m having a hard time envisioning Rick Spielman pulling the trigger on one here with his first selection. It was obvious back in July when I attended training camp that the Vikings offensive line would be the area that was most likely to hold the team back in 2015, while Mike Zimmer took a firm hold of progressing his defense turning it into the heart and identity of the team. Of course this was the case before their two best linemen went down to season-ending injuries (Phil Loadholt achilles, John Sullivan lower back). Fourth-round pick from Pittsburgh T.J. Clemmings was thrust into action and has looked the part of a struggling, raw, rookie lineman that has limited experience on the offensive line to begin with. Nonetheless, Clemmings has flashed from time-to-time the strength and power that earned him a late first-round grade from a handful of scouts and experts, and has gained valuable playing time and experience that should only help further his progression quicker than anticipated. With Matt Kalil having a bounce back season on all accounts and Joe Berger and Mike Harris playing admirably considering the circumstances, surprisingly it's been guard Brandon Fusco who has been the biggest disappointment struggling on a week-to-week basis. While the easy response then would be to replace Fusco at left guard with a day-two prospect and relying on Sullivan and Loadholt to return to full form, the problem lies inside the numbers where the Vikings just signed Fusco to a wealthy contract extension just last offseason. So, as bad as Fusco has been this season, from a contract standpoint cutting him simply isn’t an option, and even more so isn’t a roster move typically seen in the Spielman regime. What’s my point? If you’re using your first-round pick on an offensive-lineman you bring in to start, who’s out? If you’re walking into my shark tank to pitch me a first-round offensive-lineman, for those reasons, I’m out. Instead, a more common pattern scene by Spielman is using his first selection on a playmaking or game changing type prospect that offers big upside like Adrian Peterson, Percy Harvin, Cordarrelle Patterson who are a few examples. 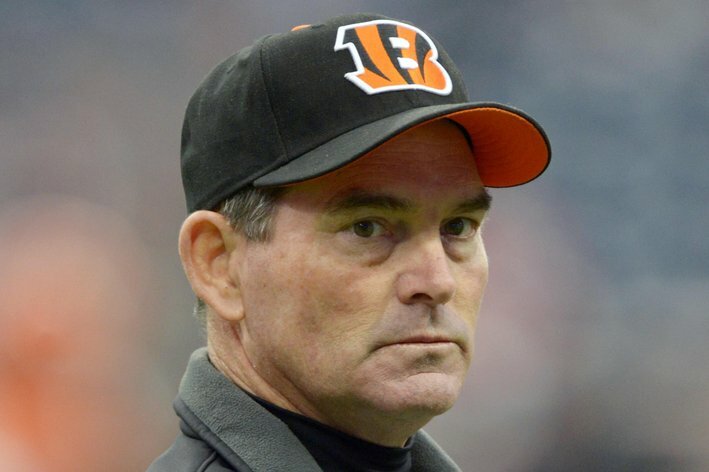 While the latter two don’t bode well for arguments sake, it certainly does make for an obvious assumption that Spielman will once again go back to the wishing well for a wide receiver that can stretch the field vertically, a dire need that the team has been desperate for since the days of Sidney Rice. From a pure talent standpoint, by all accounts Josh Doctson shouldn't be around when the Vikings are on the clock, but due to a season ending injury, Doctson hasn't had a lot of early buzz as the end of the season approaches. Before his injury Doctson was a playmaking machine that used his outstanding leaping ability and body control to make ridiculous downfield catches seemingly look routine regardless of how many defenders were draped all over him. Depending on who you ask and where you look, Doctson is listed anywhere from 6’2” all the way to 6’4” however, Doctson plays like he is 6’6” down the sideline, in the end zone, and when the ball is in the air. His long and lanky frame will need to be bulked up to not lose physical battles against NFL-sized defensive backs at the line of scrimmage, but such is the case with nearly all prospects coming out of the college program. Before his injury Doctson had a case as the best receiver in all of college football as his natural ability to track the ball and out-leap his defenders are things you simply can not teach. The addition of Doctson would be valuable to both Teddy Bridgewater who would finally have a down field threat to work with, and Stefon Diggs who would see more soft coverages in space on underneath routes. dead_poet wrote: Another draft with the same predicted result. Very solid write up, I agree with it completely. A lot of fingers can be pointed as to why the Vikings rank near the bottom of the league in passing yards, but the lack of perimeter weapons is a substantial reason. Coleman would add an explosive element to the offense and add one more playmaker for the defense to account for. Coleman is the 2nd best receiving prospect I've seen in this class, but I'm not sold on his fit in Minnesota. He gives perhaps the worst/least effort I've ever seen as a run blocker. And if the Vikings continue to prioritize the running game, which I hope they do, it would be hard for him to consistently see the field for that reason. Banquo wrote: Coleman is the 2nd best receiving prospect I've seen in this class, but I'm not sold on his fit in Minnesota. He gives perhaps the worst/least effort I've ever seen as a run blocker. 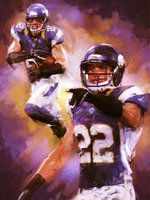 And if the Vikings continue to prioritize the running game, which I hope they do, it would be hard for him to consistently see the field for that reason. I wouldn't want Coleman in the first round for this team. Doctson is a better fit, and because of his prolonged recovery from injury (he did not play in their bowl game), I think he may slide to us in the 2nd. If we don't take anyone in rounds 1 or 2, I'd rather we wait till later if at all. OL needs attention, obviously, and I sure wouldn't mind a DE stud. Texas Vike wrote: I wouldn't want Coleman in the first round for this team. Doctson is a better fit, and because of his prolonged recovery from injury (he did not play in their bowl game), I think he may slide to us in the 2nd. If we don't take anyone in rounds 1 or 2, I'd rather we wait till later if at all. OL needs attention, obviously, and I sure wouldn't mind a DE stud. You really want to take a DE early with Hunter and Griffen set for the foreseeable future when B-Rob hangs it up? I understand depth but I'd probably prioritize other defensive positions over defensive end (safety, corner, linebacker) unless a stud prospect drops to us a la Floyd. dead_poet wrote: You really want to take a DE early with Hunter and Griffen set for the foreseeable future when B-Rob hangs it up? I understand depth but I'd probably prioritize other defensive positions over defensive end (safety, corner, linebacker) unless a stud prospect drops to us a la Floyd. Should have said any D-lineman, not just DE. I think it's a position you can never have too many studs at, especially in Zimmer's rotating scheme. There always seems to be injuries among the lineman (on both sides), which also makes depth crucial. I'm not saying it's a position of NEED, I'm saying if a really good player drops to us in the first round, I'm cool with taking him. I trust in Zimmer's eye for defensive talent more than his, Rick's, and Norv's eye(s) for offensive talent, so I'd be happy. I don't think the wrist will have much of an effect on Doctson's draft stock. Especially not to the extent of dropping him a full round. Based on what I'm reading, it won't be a chronic issue and will be way back in the rearview by the time the predraft process really kicks in. I think his combine will have a much larger impact. He's listed anywhere from 6'2" to 6'4" and around 195 lbs. While I watched a couple games last night, his long speed was hard to gauge. It's not his strong point. But if he measures in 6'3"+, 200+ and runs in the low 4.5's or faster, then I can't see him getting out of round one. And frankly, given his ability at the catch point, I'm not sure that he should. On the other hand, if he's 6'2" 195 lbs and on the slower side, he could drop. We'll see. EDIT: In either scenario, I'd be pretty happy with the selection for the Vikes. His ability to high point and win jump balls is totally unique in this receiving class out of the guys I've watched. He's better in that facet than Treadwell even. For that reason and because he's a pretty dedicated blocker, I like his fit in Minnesota. Also he already looks good in purple. Texas Vike wrote: Should have said any D-lineman, not just DE. I think it's a position you can never have too many studs at, especially in Zimmer's rotating scheme. There always seems to be injuries among the lineman (on both sides), which also makes depth crucial. I'm not saying it's a position of NEED, I'm saying if a really good player drops to us in the first round, I'm cool with taking him. I trust in Zimmer's eye for defensive talent more than his, Rick's, and Norv's eye(s) for offensive talent, so I'd be happy. To you or anyone else, what are the general thoughts on the back end of the DL depth? I'm thinking of guys like Moore, Stephen, Crichton, and Ellis here. Banquo wrote: I don't think the wrist will have much of an effect on Doctson's draft stock. Especially not to the extent of dropping him a full round. Based on what I'm reading, it won't be a chronic issue and will be way back in the rearview by the time the predraft process really kicks in. I think his combine will have a much larger impact. He's listed anywhere from 6'2" to 6'4" and around 195 lbs. While I watched a couple games last night, his long speed was hard to gauge. It's not his strong point. But if he measures in 6'3"+, 200+ and runs in the low 4.5's or faster, then I can't see him getting out of round one. And frankly, given his ability at the catch point, I'm not sure that he should. On the other hand, if he's 6'2" 195 lbs and on the slower side, he could drop. We'll see. I agree with you. This wrist injury of his is really taking a long time to heal, but I think you're right about the combine being more of a factor in his evaluation and ultimate draft determiner. I personally think he's going to be somewhat less impressive in measurements at the combine and I suspect it will make him drop a bit. Maybe it's just my desire to snag him in the 2nd or late first, trading up either way. Also, I don't really care what his 40 time is or whether he's 6' 2 and 5/8" or 6' 4 and 1/32", the kid catches the ball like no other WR in this year's draft. I've been watching every TCU game for the last 4 years (I live in Fort Worth) and this kid just has it. Also, as you point out, he's exactly what we need. I want a solid OT in the first and then the classic "Ricker" --moving back up at the end of the first or top of the 2nd to snag Doctson.